Then let Deyoung Brothers Construction help get rid of that dark unusable basement area and start your basement finishing project for you. We have been building basements since 2002 and are just minutes away from Highlands Ranch, Colorado. 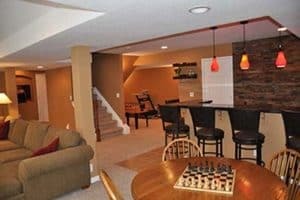 No matter what your basement finishing project needs may be, we can make it happen. Let us show you how we can help make your project ideas a reality. We are a fully licensed and insured Residential and Commercial General Contractor. To get started, please call us at (303) 829-3374 or fillout the Get a Quote form and we will get back with you shortly.